 Reduce your tax liability. Then who better to speak to than an abacus accountant. Whatever your needs, we can help. abacus is a national network of qualified accountants all of whom have gained numerous years experience working in SME's before setting up in practice. The abacus network can therefore offer you a local accountant, with extensive practical knowledge, but with the support of a large organisation enabling them to call upon specialists as and when required. Being part of a network enables abacus accountants to offer a cost effective "Value for Money" service to all its clients. We understand that the needs of a business change from company to company and throughout the life cycle of an organisation, we therefore take the time to talk with our clients to establish their requirements and tailor the services we provide to optimise the accounting and financial solution. We can offer a wide range of services which can be reviewed further in the services section of the website. The abacus accountancy network is an affiliate member of the British Franchise Association (BFA) and is the only accountancy network that is specifically for qualified accountants. 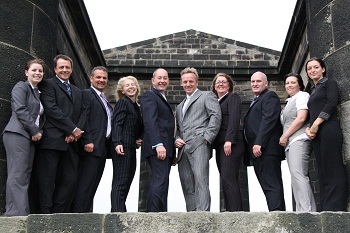 abacus was established in September 2004 and to-date has over 50 practices in the UK representing the network. What does this mean to you the client? abacus can offer a local service but with the specialist support associated with a national organisation. All our accountants gained invaluable experience working in various industries before joining the abacus network and they therefore have a greater understanding of your financial and accounting requirements. This experience has helped us to build an enviable reputation for providing excellent advice and a first class service to our business and personal clients alike. We have amassed a portfolio of over 3,000 clients across many industry sectors covering individuals, start up businesses and medium and large organisations within the SME market arena.
" abacus helped me incorporate my business, refinance after the first year and have helped me keep on top of my overheads throughout. I now have an organisation with a turnover in excess of £1M and a six figure profit. I would never have got there without abacus. " " Mine and my business's tax affairs were in a total mess. I was being chased by the Inland Revenue and then I appointed abacus. In a matter of a few months abacus had sorted out all the problems and I actually received a refund. Thanks abacus. " " Through simple planning before my year end abacus have saved me £30k a year for the past 3 years. "